When Nyah Claybaker heard about the opportunity to visit Washington, D.C. on a school trip with her Social Studies class, she was determined to go. Her parents, Curtis and Christy, were in full support, but the trip was going to be costly. It was an expense they had not planned for. In the end, it proved to be the perfect set of circumstances to give rise to a teen entrepreneur. As a business owner, Christy encouraged Nyah to consider earning the money through a business venture. As a result, Nyah’s Naturals and a teen entrepreneur were born. 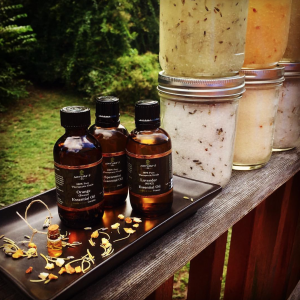 Nyah’s Naturals is a natural body care product line. 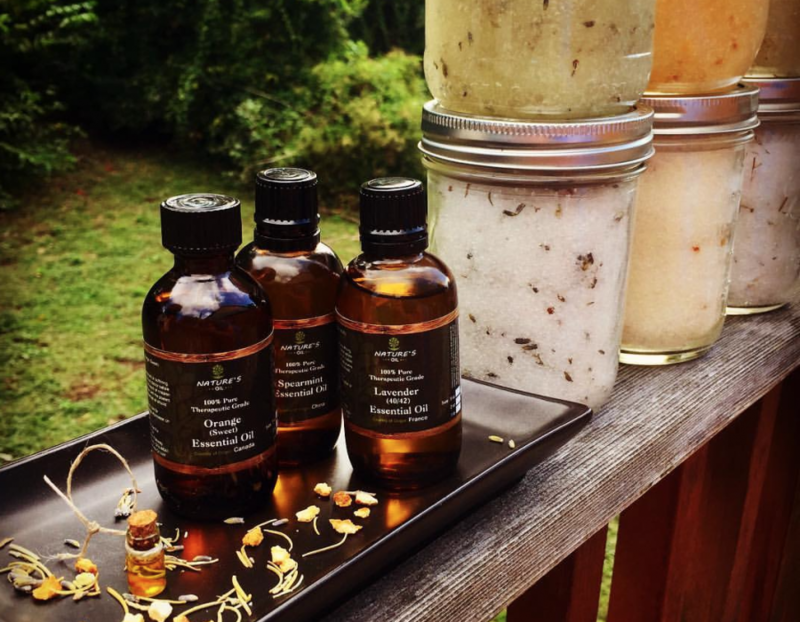 The line includes custom-blended sea salt body scrubs and bath salts. Nyah’s decision to create handcrafted bath scrubs and salts as her product line came easily. She’s been mixing up homemade concoctions like slime and play dough for years. She translated that experience and her love of working with her hands into products with real marketable value. It’s also a product line that is complementary to her mom’s massage therapy business. That opened the door for Nyah to have access to quality suppliers, Christy’s business and wellness industry knowledge, and an existing base of potential customers. While the decision on what to create may have come easily, starting and running her microenterprise was hard work for this teen entrepreneur and her mom. 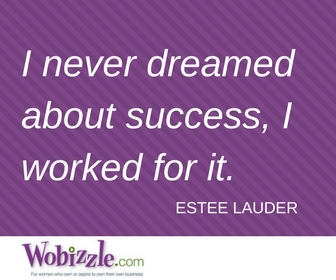 “I learned that running a business is a lot harder than I thought. There are a lot more details and stuff to pay attention to than I imagined. It’s not like running a lemonade stand where you just sell some lemonade,” Nyah laughs. 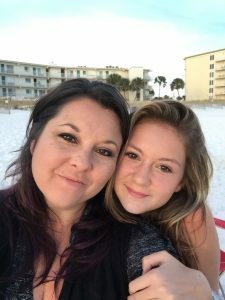 While Christy helped Nyah along with many of the details, she relished in the opportunity to watch her daughter learn and grow through her entrepreneurial journey. “I think she learned the value of having a strong network to support you. Your family, friends and other connections are not only potential customers, but also promoters and cheerleaders,” Christy says. It was six months from the time the business launched to the deadline for her Washington, D.C. trip. In that time, Nyah exceeded her sales goal and made a decision to keep the business going. She’s now using her profits to help fund future educational trips. She is also saving for college and supporting a cause that is near and dear to her heart. A portion of her sales is going to support the Turtle Island Restoration Network. Even while saving for her Washington, D.C. trip, Nyah diverted 10% of her sales to this organization that supports sea turtle rescue and conservation. Support of the Turtle Island Restoration Network will continue to be part of the Nyah’s Naturals business model as Nyah and Christy work on the 2.0 version of the business. They are tweaking processes and finding efficiencies. They are also looking for ways to increase net profit without compromising product quality. Another priority is to find a way for Nyah to see a more immediate return on her investment of time in production.